Hi Folks. 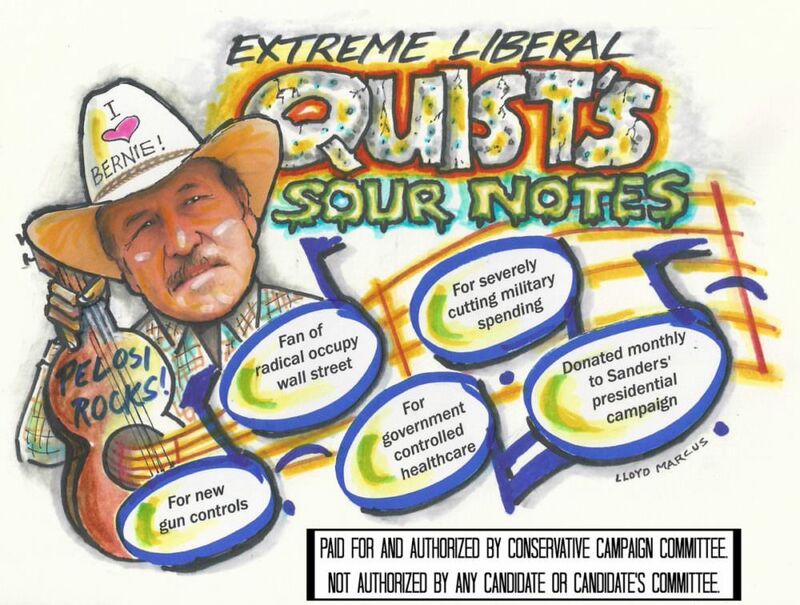 Lloyd here, checking in from Montana with Conservative Campaign Committee working to defeat extreme liberal Rob Quist for congress. Mary has fallen in love with the Prairie dogs running around everywhere with their cute babies following them. I told her to forget about it. We are not taking Prairie dogs home on the plane to add to our 8 birds, two cats and greyhound. Democrats have spent millions flooding the airways with ads lying about the Republican candidate Greg Gianforte. These people are despicable. Meanwhile, their candidate, Quist is nothing more than another Pelosi hand puppet to help fake news media’s impeach Trump scheme. Mary and I stuffed envelopes for two hours yesterday. CCC is sending bumper sticks and letters to Montana Republicans urging them to get to the polls on Thursday, May 25th. Mary ordered the 3 ft by 8 ft “GIANFORTE FOR CONGRESS” banner she and I hold on street corners during our CCC team’s numerous sign waving sessions. Response from Montana motorists honking their horns have been overwhelmingly in favor of Gianforte. Conservative Campaign Committee is running get-out-the-vote radio ads on several stations. Miss Lulu is managing our phone-from-home initiative. Folks, I am talkin’ old school, grassroots, do everything you can think of to push your candidate over the finish line campaigning. While it is grueling, Mary and I enjoy working with our CCC team, making a difference for our country. The Bible says faith without works is dead. In other words, while we should pray for God’s blessing, it is crucial that we work toward what we want; putting legs to our faith. I always try to taste the most popular local dish. Chicken fried steak is high on the list; flour battered and deep fried; placed on a bed of mashed potatoes and smothered in gravy. Sounds awesome. For health reasons, I ate a bit of cooked medium/plus rib eye. Delicious!